Inverters have extensive use in today’s fast paced life. With most of our activities based on electrical and electronic appliances, even a minimum power outage can cost the business heavily. The role of inverter is not just to convert DC power into AC power but also comes with high efficiency, low power costs and versatile applications. Inverter is used extensively in varied applications especially in places where there are frequent power cuts. These are the best power alternatives in case of failures. Most homes use AC current as it faces less voltage drops making it efficient when moved from one plant to another. Chennai inverter dealers sell different models in varied sizes capable of running your laptop to running an entire solar electric system. It is one of the simplest types of inverter that converts DC signals to phase shifting AC signal. The output cannot be called exclusively AC like pure sine wave but is square wave. These are cheaper and are very simple in terms of construction, achieved through an on-off switch, a voltage amplifying circuitry similar to a transformer. The output of this circuit is square wave. While operating on square wave, the tube light and fan emits a buzz noise, though there is no worry of the electrical gadgets being damaged. Though, some instances of the speed control dimmers being damaged were reported in ceiling fans. This could be due to high voltage output. The voltage output is 230 volt to 290 volt so it is not recommended according to experts. But PC and laptops work fine with square wave inverters. Since these are equipped with SMPS the current will not cause any disturbance in the system. It is also called digital inverted, stepped sine wave, modified sine wave, trapezoidal waveform, quasi sine wave and more names. 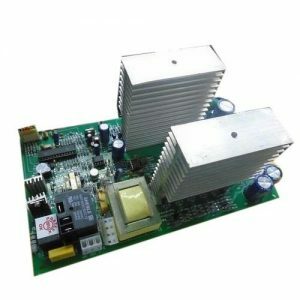 This type of inverter is a little complex when compared to the square wave inverter yet it is simple when compared to pure sine wave inverter. This modified version pauses ahead of phase shifting of the wave, meaning it will not shift phase from positive to negative suddenly like square sine wave. Moreover, it does not shift phase seamlessly from positive to negative but takes a brief pause. Going by the name, it gives the purest form of current to sensitive device you use. 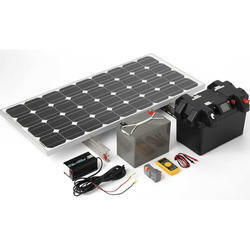 The current is safe to run computers, camera battery chargers, laptops, cell phone charges, small house hold water pump motors, etc. This converter saves current bill when compared to square wave inverter. Moreover, the backup time is comparatively better than square wave inverter. The price of the inverter is comparatively lower. It can be modified according to the requirement of the user and there are many different power outputs available. Solar inverters can be divided into two types Transformer type and Transformer less type. The former helps to boost voltage produced by the solar panels to equal the mains electricity supply from the grid. The transformer is simple to design and is heavy. It is less efficient in converting energy. Micro inverters are capable of providing detailed monitoring of data based on individual panel in comparison with string inverter. Transformer less solar inverter is digital in nature and are lighter, faster and efficient. The transformer less inverter has an efficiency percentage of 95% to 99%. Another emerging inverter is the micro inverter. It has the potential benefits of installing wiring and is expensive when compared to central inverter. Micro inverters are on the roof while central inverter is fixed close to the switchboard. Micro inverter can be labor intensive. The price of the inverter is sure to come down giving string inverter a run for the money.